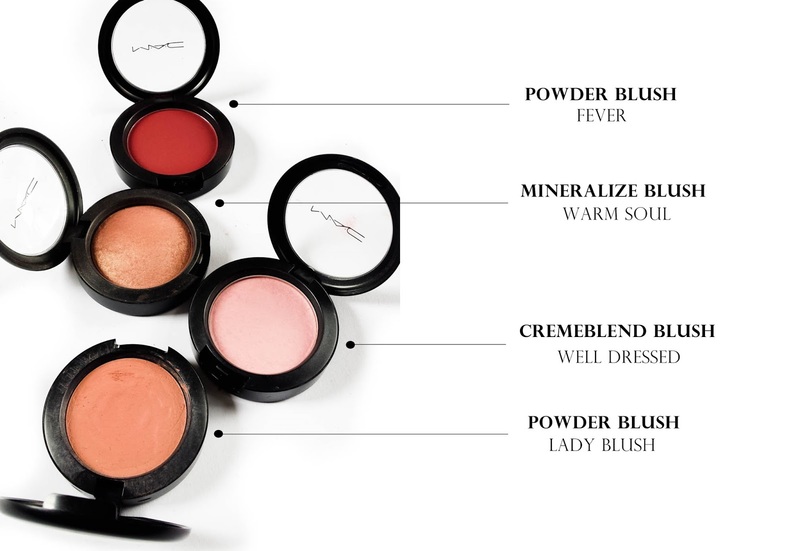 MAC has some of the best blushes out there. The range of colours and finishes is amazing. I like my mini collection of Mac blushes, they're all very different and special. But I really would like to pick up some new shades. I used to wear this all the time. It's probably one of my favourite blushes ever! It leaves a really nice pink flush on the cheeks with a bit of shimmer. It brightens up the face and gives a nice healthy glow. This is the only cream blush in my collection. It's a soft coral-pink but with some peachiness in it. It's very pigmented but easy to blend and looks natural on the cheeks. It's a peachy brown shade with some mauve in it and golden sheen. It enhances the cheekbones, gives warmth and a lovely subtle glow to the complexion. 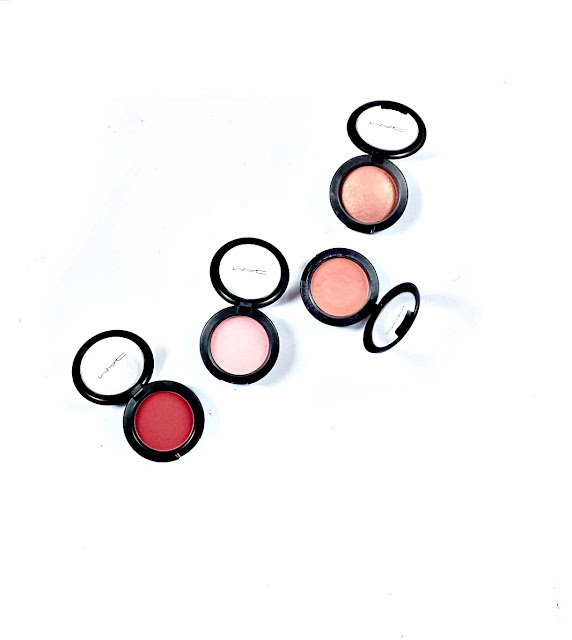 This is one of those blushes that looks beautiful on most skin tones. I really like this one for the winter months. MAC Fever is a matte red wine colour. This is really pigmented and looks super intimidating in the pan, but if applied lightly it is just gorgeous. It gives this beautiful 'just got out from snow' look. 4 comments on "Mac Blushes"
Warm Soul is such a pretty shade! I've always heard raves about it- I need to check it out!